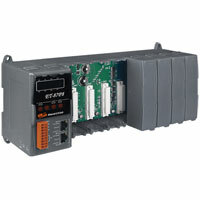 ET-87Pn series is a remote intelligent I/O expansion unit to expand I-87K series I/O modules over the Ethernet for industrial monitoring and controlling applications. It offers two Ethernet switch ports to form a daisy-chain topology. The daisy-chain feature allows ET-87Pn to connect in series to each other or other Ethernet devices. Uses can easily simplify the cabling and save installation space with the feature. ET-87Pn is designed to be used in harsh and noisy environment, so the hardware is manufactured with wide power input range (10 ~ 30 VDC), isolated power input and can operate under wide temperature (-25 °C ~ +75 °C). To simplify installation and maintenance of I/O modules, it provides many useful features, such as: hot swap allowed, auto configuration, LED indicators for fault detection, dual watchdog to keep alive, programmable power on and safe values for safety. The unit supports more than 30 I/O modules including analog input/output, digital input/output, counter, frequency I/O modules. 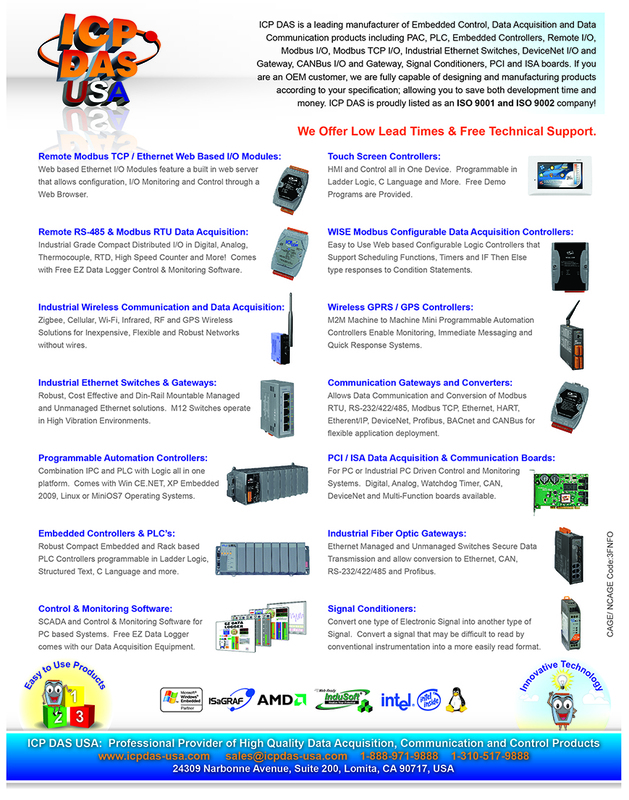 We provide various software development kits (SDK) and demos, such as DLL, ActiveX, Labview driver, InduSoft driver, Linux driver, OPC server, etc. The I-87K series I/O modules plugged in the ET-87Pn can be easily integrated into variant software system.